This 5 bedroom home in Morne Daniel, Dominica provides the perfect backdrop for someone of affluence and discriminating taste! Built in 2013 on 22,705 sq. ft among lush, landscaped grounds, the home is of high quality construction and modern design displaying Contemporary Caribbean architectural style. Set over two (2) complete floors and an almost finished basement, this home 5 bedroom home in Morne Daniel, Dominica measures 5,052 sq. ft of space and boasts spectacular and extravagant fixtures and fittings: imported cabinetry, crown molding, ceiling fans, stainless steel light fixtures, intercom, camera surveillance system, hot and cold water, 110v and 220v wiring, etc. The main floor contains 3 bedrooms and 2 bathrooms which includes an opulent master bedroom suite outfitted with walk-in closet, Jacuzzi tub, standing glass enclosed shower, air conditioning and private balcony with panoramic ocean and mountain views. The rest of this floor is open concept for convenience and more comfortable living. The kitchen is of a modern design and comes equipped with a large eating island, built-in modern wooden cabinetry, backsplash, high grade corian countertops and opens to the stylish dining area. Living spaces are in abundance with a living room and a media room. The second floor contains two spacious apartments, laundry room and an automatic door garage. These apartments currently generate a steady income for the owner. Additionally, the home contains a basement that can easily be converted to an apartment which is currently being used as a laundry area for the tenants in the apartments and for storage. These apartments currently generate income for the owner. If you are wondering how you can be a successful landlord, here are a few tips that can help! 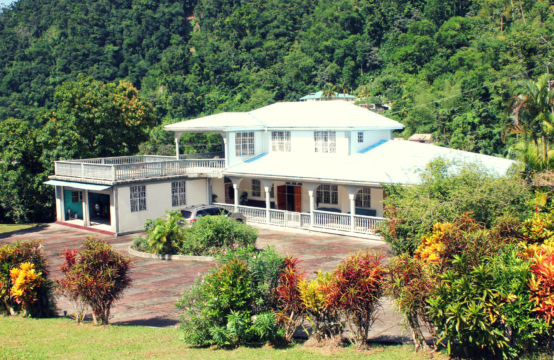 The grounds of this 5 bedroom home in Morne Daniel, Dominica are fully fenced with a remote control entrance gate. It boasts an immaculately landscaped lawn. Beautiful flowers and plants, as well as a welcoming water fountain decorate its entrance. The huge backyard offers several fruit trees such as mango, avocado, lime, grapefruit, Chinese lychee, soursop and guava. The greenery and lushness of the surroundings extends to the coveted plant wall located at the rear of the home. All essential utilities are connected to the home. Morne Daniel, Dominica is just 3 miles from the capital City, Roseau. The community is a middle to high income development with many attractive sprawling structures. The neighbourhood is peaceful, safe and well developed. 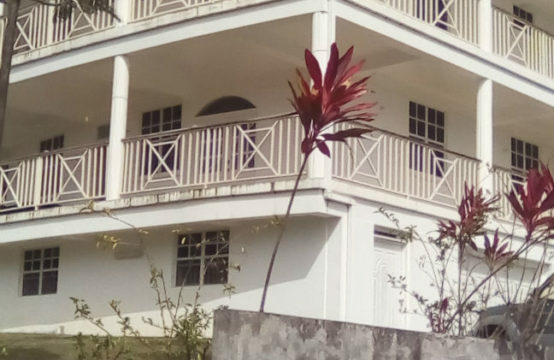 The home is within close proximity to supermarkets, restaurants, playgrounds, schools, churches, embassies, beaches, a river, Canefield airport, etc., as well as the amenities in the City of Roseau – hospital, fire and ambulance service etc. 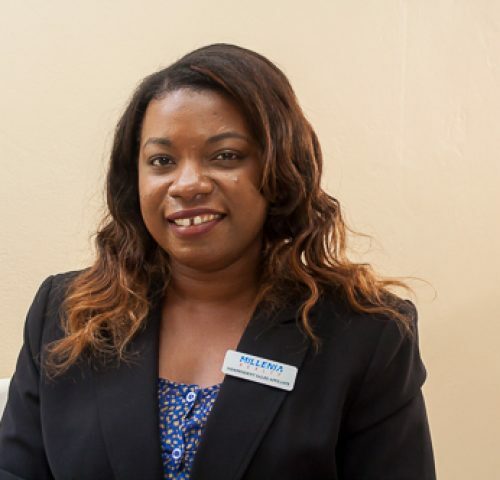 IMPORTANT ADVISORY: Before any person purchases real estate in Dominica, the Physical Planning Division should be consulted to find out if the property is part of an approved subdivision, if applicable, or if their intended use of the property conforms to the official land use and development plan for the area. Visit the Physical Planning Division website for guidance.